With a flat of blueberries in our house from our local CSA, I went on a hunt to find the best blueberry pie recipe. 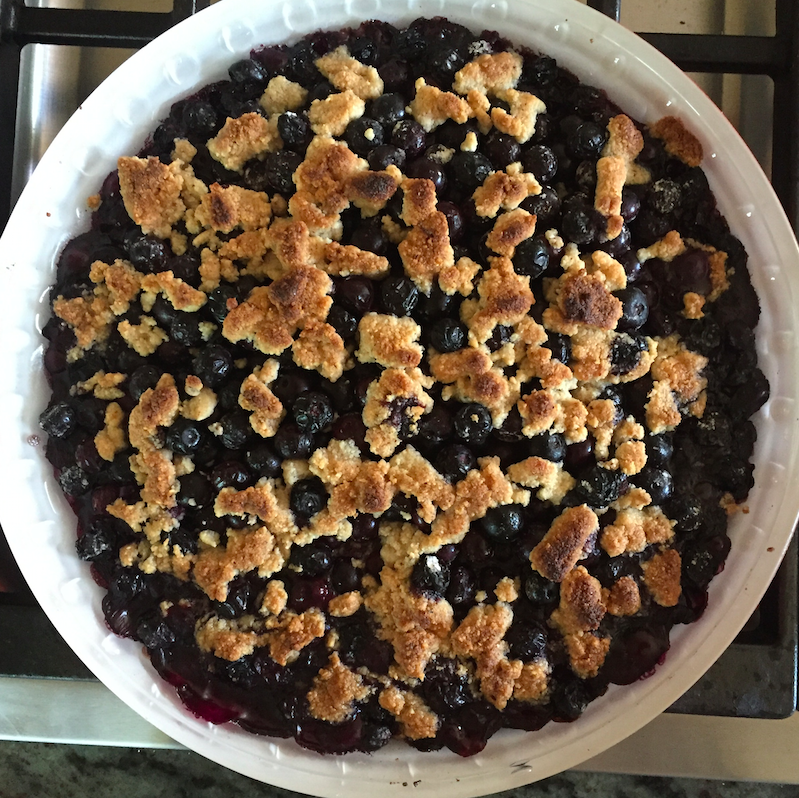 That said, searching “best blueberry pie” on the internet does not necessarily lead to the best blueberry pie, especially when I add words such as “low sugar” or “healthy.” So instead, I went the old fashioned route and asked a friend for a recipe. Needless to say, this much more experienced baker (read ‘older’) instantly emailed me her go-to-blueberry crisp recipe. So I made it (but of course, with some minor adjustments) and IT IS SO DELICIOUS.